If you’ve ever watched your child play alone at preschool, had them miss out on birthday party invites, or listened to them tell you that they have “no friends”, you know how heartbreaking it can be. As parents, we wish we could snap our fingers and give our kids everything. But helping them make friends is one of those tricky areas that can be especially hard for parents to understand and address. Do you get involved, or do you take a back seat and see if everything pans out on its own? For some expert advice, RiotACT sat down with Tiffany Martz, Acting Director of Artemis Early Learning in Fyshwick. Tiffany and her team are at the frontline of this issue, as childcare centres are often a child’s first meaningful socialisation experience. Tiffany assures us that in the case of the latter, there’s usually no reason to be alarmed. “If your child doesn’t appear to have many friends, but isn’t concerned about it, then it’s best not to worry. Every child is different and matures differently. Some children don’t need lots of friends to be happy, just like some adults. They are perfectly content entertaining themselves, which should be embraced and accepted. When it comes to watching your child play, Tiffany also notes that children at a young age often play near each other, but not necessarily with each other. If, on the other hand, your child has expressed concern over a lack of friends, or is clearly lacking confidence, Tiffany says there are some steps you can take. 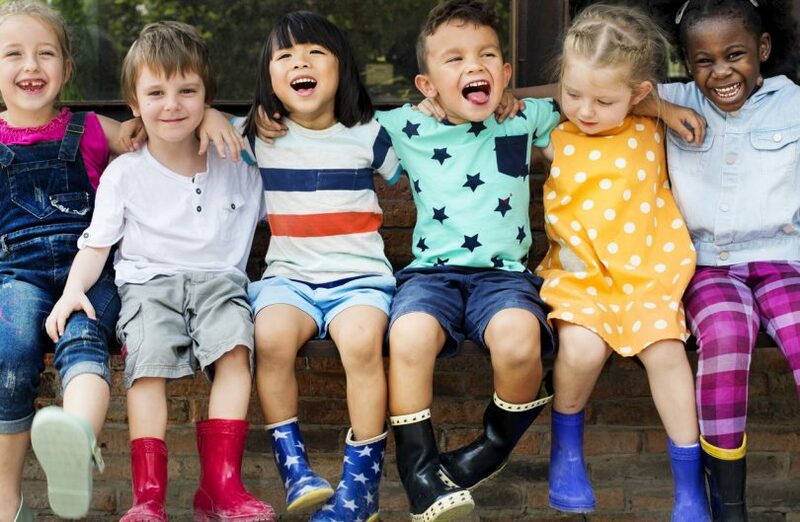 “Parents can try to facilitate friendships, and increase confidence in social situations, simply by making time to socialise their children with other children. This may mean a quiet playdate with one or two other children, in a place they feel comfortable. Don’t force a friendship, just allow them to get used to being around another child and sharing an experience with them. Tiffany notes that most childcare centres are structured to help you transition your child from the home into this new, larger social environment, which can ease concerns about separation anxiety. To learn more about transitioning your child into local childcare, please call 02 6239 3927 or visit Artemis Early Learning. Have you ever struggled with helping your child make friends? How did you handle it?